Just to add to my challenges, I’m also taking part in the #Dymocks52 Challenge this year – which will also give some overlap with the other challenges I am doing. It will merely add to my goals to complete, and I will certainly bypass it within the first half of the year, but it will at least allow me to get through all my quiz books, review books and TBR piles around my room. With the basic goal of reading one book a week for this challenge, I hope to do at least this and more with everything else I have to do. And all you need to do to participate is use the hashtag #Dymocks52Challenge on Twitter and Facebook, and update as you go with the titles you read – only once a week if you adhere to the one book a week minimum. 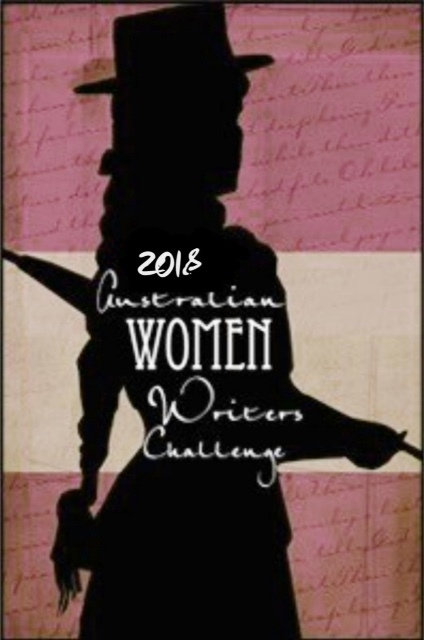 Best of luck, and I will aim to update you on my challenges and their progress as I go throughout the year, with various types of check points to help with my end of year posts, as I found this helped last year with my Australian Women Writer’s Challenge wrap up posts. 2019 will be the third year I undertake the challenge, and each year I have given conservative estimates of how many I will read and review because I had tried to plan the books I would read and review and didn’t account for extras that came by. The first year, I did the Miles level, and surpassed that by quite a lot. In 2018, I aimed for 15, and managed 79 read and 78 reviewed. So in 2019, I’m going to aim for 25 – which I will likely surpass. Create your own challenge: nominate your own goal e.g. “Classics Challenge”. The majority will probably come from review books I receive for review from publishers, but some of them will be others from my collection, such as The Impossible Quest series by Kate Forsyth, new releases such as Vardaesia by Lynette Noni and many others – I will have to see what comes across my path during the year. Because I also read and review books by non-Australian authors, and male authors – the conservative amount is there to cater for this, and so I’m not overreaching on my goals. Starting today, the first of January, I will be aiming to read at least twenty-five books by Australian women and be aiming to review them all. Vardaesia by Lynette Noni out in February – the final in the Medoran Chronicles. Four Dead Queens by Astrid Scholte out in March. Beyond these ones, I will have to see what comes across my path. Looking forward to reading a lot this year and making a dent in the piles of books on my floor. In 2018, I had the aim of reading 120 books throughout the year. This was my general reading goal from the first of January to the end of December, and included review books, books I had to read for work as a quiz writer with Scholastic Australia, and my other challenges – The Australian Women Writer’s Challenge, the Pop Sugar Challenge (which I came close to finishing, but several categories were too hard to fulfil when it came to it), and Book Bingo 2018 with Theresa and Amanda, which we will be attempting again in 2019. The Case of the Missing Marquess (An Enola Holmes Mystery #1) by Nancy Springer. As you can see, I have read kids’ books, young adult books, fiction and non-fiction books and everything in between for quiz writing and reviewing, and my own reading that I was able to do in between the books sent to me as a reviewer and quiz writer. In wrapping up my 2018 reading, there are definitely some books I wanted to get to but didn’t, and that I hope I can get to in 2019. With similar goals for 2019, I hope to achieve similar numbers, more books read, and hopefully more reviews coming your way for the next twelve months. One of the challenges I did during 2019 was the PopSugar Challenge. It had forty categories, plus an additional ten advanced ones – a couple of which I managed to check off, and I filled most of the main categories, some with multiple books. It was a good challenge, but one thing I think lets it down is that it is overly prescriptive – and I think this made it too hard to fill in – almost impossible for some, in fact. One was an author with the same first or last name as you – and this could let many people down, as there will be many names, not just mine, that do not appear as any part of an author’s name. Some I didn’t fill due to lack of time, but there were some that relied on accessibility as well – being able to get the book, or something being available in a library, bookstore or your collection. The point of a challenge is to challenge you and your reading – but perhaps not in a way that lets you down when you find you can’t fill a category. Still, it was a fun challenge and I’ll be doing it again this year – but I feel that the categories get too prescriptive and specific each year, and rely too much on the accessibility of books – just because you can find a title in a Google search does not mean that book will be readily available for you – and my plan is to fill as many as I can with what I have. A book mentioned in another book: Heidi by Johanna Spyri, mentioned in Little Gods. 2015: A book with a one-word title: Thunderwith by Libby Hathorn, Lovesome by Sally Seltmann. A book about a problem facing society today: When the Mountains Roared by Jess Butterworth – poaching. No Country Woman by Zoya Patel – Racism. As you can see, some categories were easier to fill than others, some I didn’t manage to find anything for aforementioned reasons, and some had multiple entries. Some were filled in with a stretch – perhaps this is why I like looser themes, rather than ones that dictate what must be in a title or part of the authors name – you still get the challenge of finding a book that fills it, without causing panic because nothing fits in – this takes the fun out of it. So in 2019, my goal is to fill whatever categories I can. And if there are some where I don’t find a book, or a book does not appeal to me, I will give it a miss – and just let it happen as it happens. In my mind, a challenge like this whilst fun, can also be inhibiting, which is why in the group that does this challenge, I’ve suggested a list of other challenges in case others want to take those on as well as this one or instead of – something I might do, or tweak them for my individual needs. So ends another year of reading challenges. This year I participated in a book bingo challenge with Amanda and Theresa, and we also all participated in the Australian Women Writer’s Challenge together, and many of the books I read filled both challenges. During 2018, I managed to complete two cards of twenty-five squares each, with some books working for separate categories in each card. I had intended to do one, however, I got a little too enthusiastic in my first card and crossed off multiple squares. In my second one, I only did this at the end, and managed two cards with vastly different books in each one. I tried to vary it across both cards, though had to use some previous ones in a different square when it came down to crunch time. It has worked out well and hopefully, next year, I will be able to fill the card with some interesting reads as well. In 2019, we have 30 squares to fill, so our posts will be going up fortnightly on a Saturday to ensure we get through each category, starting on the fifth of January. I will have to choose a different category for that day, as my crime book only comes out on the twenty-first and will have to be my third post of the year for this challenge. I’ll be aiming to go with books I own for as many as possible and have a couple of categories and books in mind for the first one or two posts. I am looking forward to this challenge alongside the rest of the blogging I will be doing in 2019, and hope you enjoy what I do.